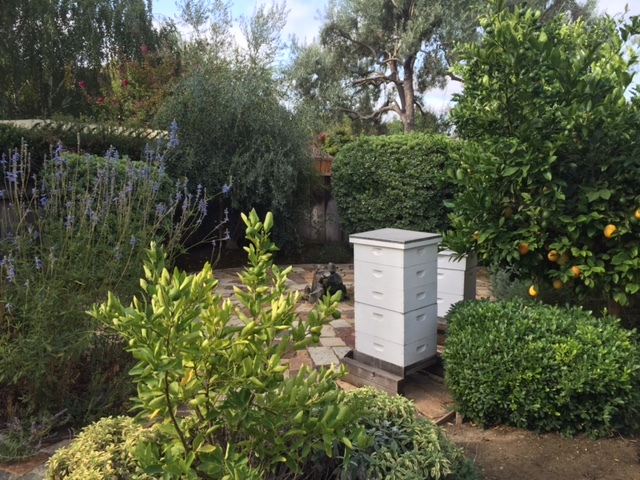 Description: Bee hives nestled into a beeyard designed to provide optimal shelter during winter and maximum exposure during warm months. 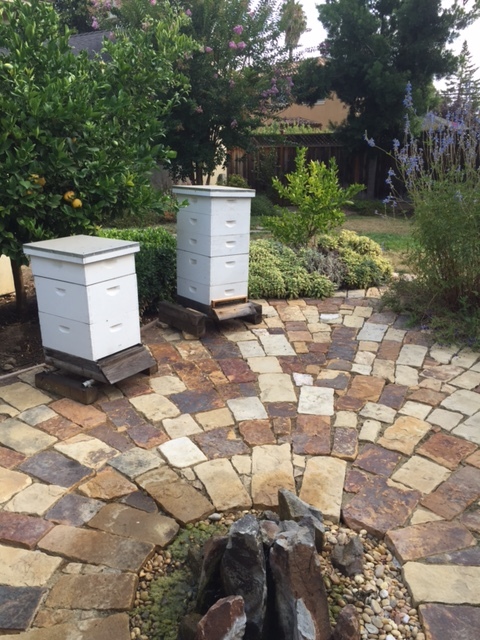 Hives sit atop a permeable patio base to prevent run-off during rain. 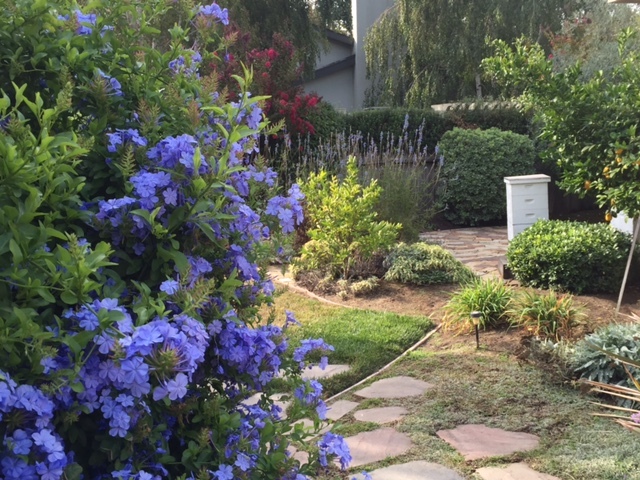 A natural looking water feature and nectar bearing drought resistant perennials demonstrate the beauty of a bee-friendly garden. Honey tasting, and water stop.